There are various beard designs that you can choose from. However, one should understand that choosing a beard style that matches ones features involve different factors. Different face shapes require various beard designs that look awesome. Remember that a bear style that looks great on someone else may not look the same on your face. We have selected the Best Beard Styles for you that will definitely add a plus point to your looks. You can easily experiment with your beard to get the perfect look that you want. You should be patient especially when you are aiming for a longer beard design because it will take time to grow. 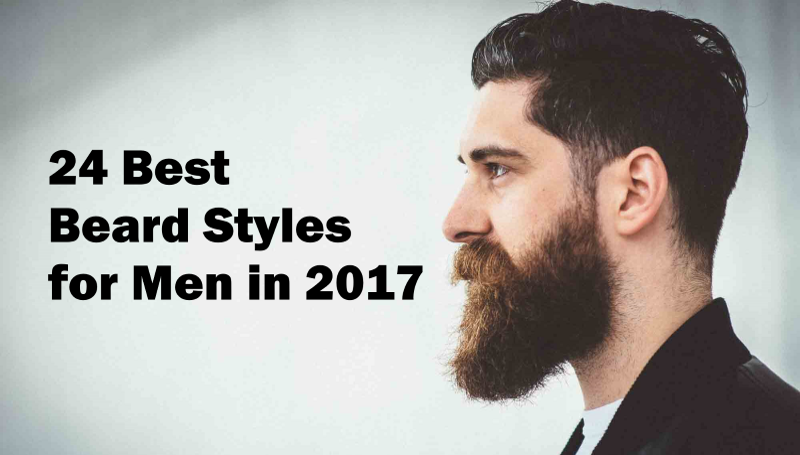 In 24 Best Beard Styles for Men in 2017 we will show you the world’s best 24 long beard designs that will surely suits your face type/shape and give you a perfect look. You should take care of your beard appropriately. Long beard styles require more care than the short ones. Remember one thing that you’ve to keep the beard clean all the time as it can easily be a good home for the bacteria. Otherwise you can easily be infected. Use mild shampoo & conditioner will your beard clean and soft. After washing the beard, just dry it using soft towel. Use wide toothed comb to get rid off tangles. It is also advisable to use waxes and beard oils to keep it groomed. If you like our “24 Best Beard Styles for Men in 2017” post, please comment and share it with your friends.